The Afghan military in the south has announced at least 79 Taliban militants were killed during the military operations in southern Uruzgan province last week, like reported by khaama.com. 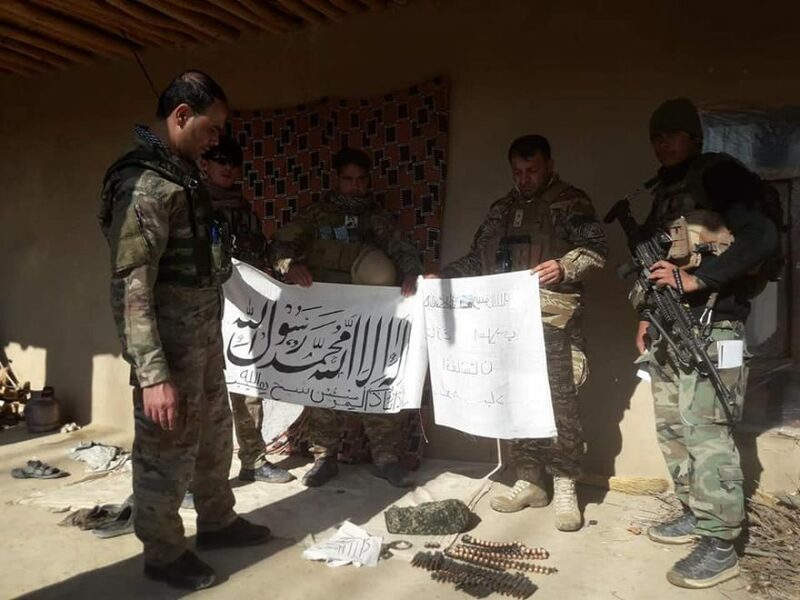 205th Corps spokesman confirmed several joint operations between the Afghan Special Forces, the 205th Corps and Afghan Air Force which has killed 79 Taliban in Tarin Kot, Uruzgan over the last week. The largest raid yielding the death of 24 Taliban during one operation. Uruzgan is a heavily contested area, especially Tarin Kot, which has seen a spike in activity since the announcement of the spring offensive by the Taliban. As part of the Ministry of Defense’s security plan, the 205th Corps recently secured the road which joins Kandahar and Uruzgan and put in new security points to help keep the road open. Part of this operation was to clear roadside bombs which the 205th Corps has cleared over 20 IEDs since the beginning of the operation to prevent deaths to residents traveling along the route. A key commander of Taliban terrorist group with his seven comrades was killed in an air strike in Nangarhar province yesterday. 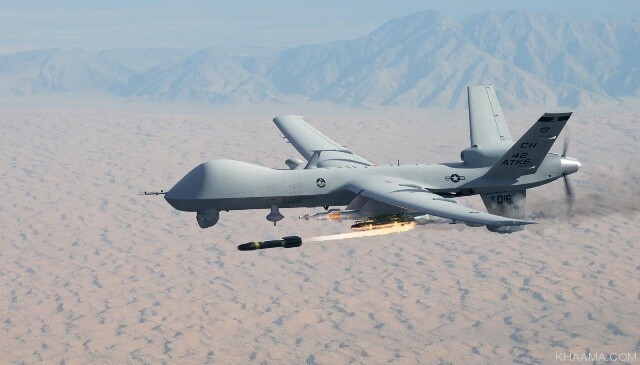 Mullah Dada key commander of Taliban was targeted by NATO drone in suburb of Khogyani district bazaar. Ataullah Khogyani spokesman for Nangarhar governor told BNA, in the air strike, Mullah Dada with his seven colleagues was killed. Mullah Dada was targeted by NATO drone while organizing terrorist and destructive activities. The commander is involved in dozens of deadly terrorist raids in that province over the past few years. ISIS is expanding its networks in Central Asia, reports the UN press-service. 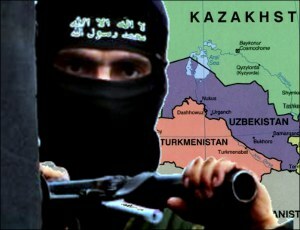 ISIS is attempting to expand its activity in Central Asia and calls its followers to organize terror attacks in the public places, mainly in the Fergana valley,” said Yuriy Fedotov, executive director of the UN department on drugs and criminality. He said the international terrorism is a serious threat to the international world and security adding that “none of the states are secure from this threat”. “We can see that combat with terrorism has resulted in military defeat of ISIS in Syria and Iraq. The nature of the threat has been constantly changing, while the problems remain. Foreign fighters return home. Some ISIS terrorists joined other groups or create new ones. Many fighters moved to Afghanistan. Afghan ISIS group is a serious destabilizing factor,” said the head of UN department. He said the situation in security branch is hardened by interaction between terrorism and transnational organized criminality. “Terrorists get profit from human and drugs trafficking. Transnational threats need coordinated multilateral response measures,” said the UN representative. A prominent leader of the Taliban group identified as Mullah Azizullah has been arrested in western Farah province of Afghanistan, the Ministry of Interior announced Wednesday according to khaama.com. 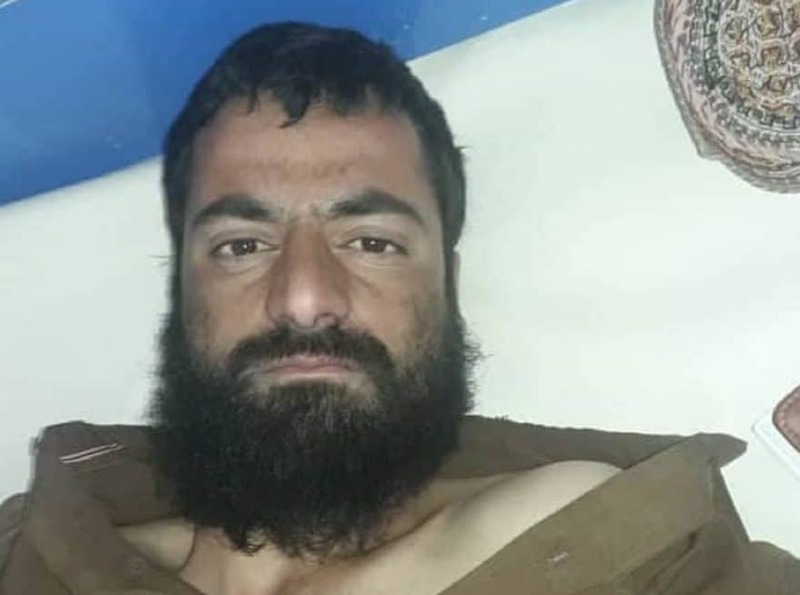 A spokesman for the Interior Ministry Nasrat Rahimi said the Taliban leader Mullah Azizullah alias Zekriya was arrested during an operation in Farah. Rahimi further added that Mullah Azizullah is a prominent leader of the Taliban group who was involved in major destrutive activities in Helmand, Badghis, Herat, Nimroz, and Farah province. The anti-government armed militants including Taliban have not commented regarding the arrest of Mullah Azizullah so far. Farah is among the relatively volatile provinces in West of Afghanistan. 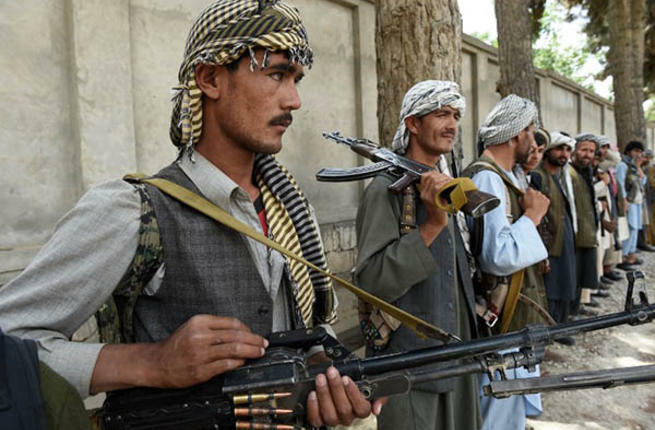 The Taliban militants are active in some of its remote districts and often carry out attacks against the government and security institutions. At least 21 militants have been killed and 21 villages have been recaptured over the past 24 hours as security forces operations against Taliban fighters are going on in parts of Afghanistan’s Ghazni province, Xinhua news agency reported, quoting a provincial government spokesman Aref Nuri Wednesday, according to bernama.com. Nine militants including their commander Qazi Hasan have been killed in Hasan Abad village in the outskirt of provincial capital Ghazni city and law and order were returned to the area, the official said. More than a dozen militants have been killed in Gilan, Qarabagh and Khawja Omari districts and 20 more villages have been cleansed of the Taliban fighters in Khawja Omari district over the past 24 hours, the official said. Over a dozen insurgents have been injured, the official added. However, the official didn’t make assessment on the possible casualties of security personnel. The Taliban militant group has not made a comment on the report yet. 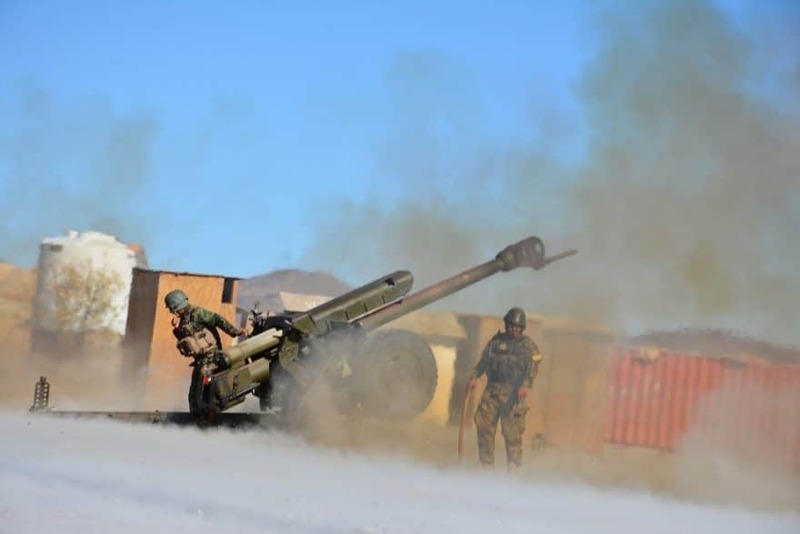 The 201st Silab Corps of the Afghan Military in a statement said the clash broke out in Haidar Keli, Asman Kala, Ibrahim KHel, and Wadi Sar areas of Khogyani district on Monday. The statement further added that eight militants of the Red Unit of Taliban were killed during the clash and four others were wounded. According to 201st Silab Corps, at least four ISIS militants were also killed during the exchange of fire with Taliban militants. 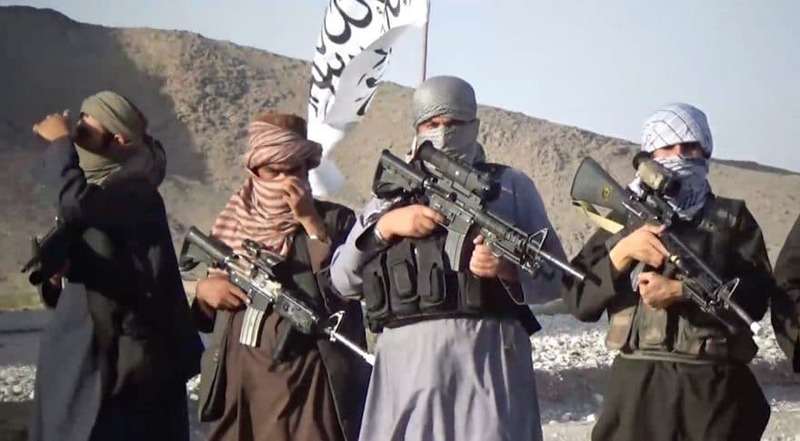 Both Taliban and ISIS Khurasan militants are active in some remote districts of the province. 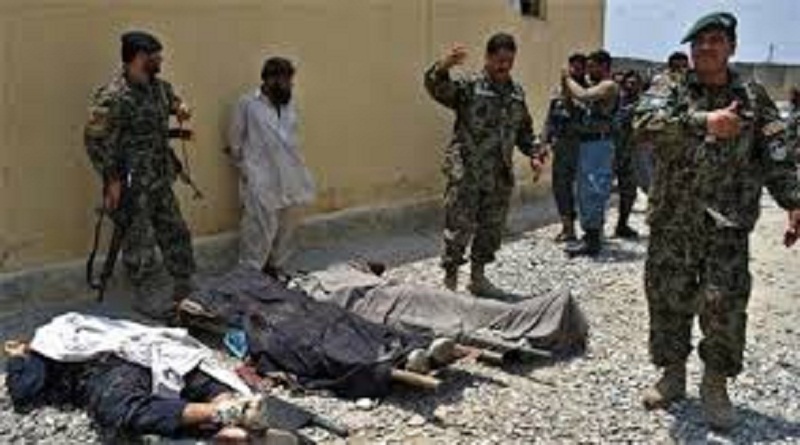 More than 50 Taliban have been killed or wounded during the clashes with the Afghan security forces in northern Kunduz province, the Afghan military said according to khaama.com. According to a statement released by 217th Pamir Corps of the Afghan Military in the Northeast on Monday, at least 40 Taliban militants have been killed and 12 others including their commanders have been wounded during the clashes in the past 24 hours in Kunduz province. The Commander of 217th Pamir Corps Gen. Nabiullah Mirzayi said the Taliban offensive in Kunduz were repulsed with the deployment of additional forces and air support. The statement by 217th Pamir Corps also added that the Afghan Air Force carried out airstrikes in the outskirts of Kunduz city using A-29 light attack aircraft, leaving at least 12 militants dead and two others wounded including a senior leader of the group identified as Mawlvi Nasir. Teh anti-government armed militants including Taliban have not commented in this regard so far. Philippines troops killed nine Abu Sayyaf militants during a firefight on a remote southern island, according to media reports. The clash with a group of at least 120 militants broke out early in the morning on Thursday in the town of Patikul in the Sulu province and lasted the whole day, Xinhua news agency reported. Nineteen Abu Sayyaf fighters were wounded in the firefight. “The militants broke into smaller groups after the initial fighting in an attempt to escape from the pursuing troops,” Xinhua quoted Brig. Gen. Divino Rey Pabayo, the commander of the Joint Task Force Sulu, as saying. “The support and cooperation of the local community led to the success of the military operation,” Pabayo said. 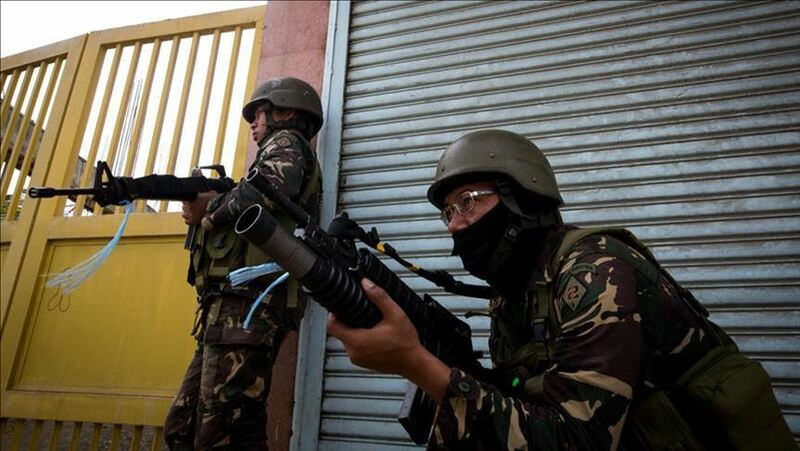 Philippines government has a separate army division to fight the insurgency in its southern region. In the early 1990s, Abu Sayyaf split from the Moro National Liberation Front. The group’s first major attack was in 1991 when two U.S. naitonals were killed in a grenade attack. Last year, Philippine President Rodrigo Duterte had offered peace to Abu Sayyaf which is alleged to have links to Daesh. The Taliban on Friday announced their annual spring offensive, which comes as the Afghan and US politicians try to negotiate for a peace settlement with the militant group, like reported by tolonews.com. Operation Fath — which means “victory” in Arabic — will be conducted across Afghanistan with the aim of “eradicating occupation” and “cleansing our Muslim homeland from invasion and corruption”, Taliban said in a statement. The annual spring offensive traditionally marks the start of the so-called fighting season, though the announcement is largely symbolic as in recent winters the Taliban has continued fighting Afghan and US forces. “Our Jihadi obligation has not yet ended,” the Taliban said. The Ministry of Defense spokesman Qais Mangal said the Taliban’s spring offensive is “mere propaganda”. This comes after the Afghan government on announced on April 2 that President Ashraf Ghani has approved the security plan for the current solar year as conflicts are intensifying between security forces and Taliban in different parts of the country. The National Security Council said in a statement that the plan, named Khalid Security Plan, is aimed at boosting security across the country particularly the security of urban areas and highways. As well as, the plan is aimed at suppressing the enemy, recognizing vulnerable areas in terms of threats by militants, ensuring the safety of upcoming presidential elections, preventing civilian casualties and better deploying of forces. Government figures show that almost 45,000 members of Afghan National Defense and Security Forces lost their lives in the past four years under the National Unity Government. Meanwhile, clashes have intensified in northern, northeastern and southern parts of the country as the weather is changing. In a recent incident on Monday night, at least eight members of the Afghan police were killed in an attack by the Taliban in northern Balkh province. The announcement of the security plan comes amid the increasing efforts for peace by the Afghan government and its international allies including the United States. In a report released in February, the United Nations said the organization has documented 3,804 civilian deaths, including 927 children, in 2018. In total, UNAMA documented 10,993 civilian casualties (3,804 deaths and 7,189) wounded), representing a five percent increase in overall civilian casualties and an 11 percent increase in civilian deaths compared with 2017. In this report, UNAMA attributes the majority of civilian casualties – 63 percent – to anti-government elements (37 percent to Taliban, 20 percent to Daesh, and 6 percent to undetermined anti-government elements). According to the report, pro-government forces caused 24 percent civilian deaths (14 percent by Afghan national security forces, six percent by international military forces, and four percent by other pro-government armed groups and forces). The report says that key factors contributing to the significant increase in civilian casualties were a spike in suicide attacks by anti-government elements, mainly Daesh, as well as increased harm to civilians from aerial and search operations by pro-government forces. The report says that 2018 witnessed the highest number of civilian casualties ever recorded from suicide attacks and aerial operations. President Ghani at a security meeting on March 13 ordered strict rules to security forces to protect civilians in their operations. Five senior Taliban leaders including the shadow judge of the group were killed during the operations of the Afghan Special Forces in northern Faryab province of Afghanistan, like reported by khaama.com. The 209th Shaheen Corps of the Afghan Military in the North in a statement said the Taliban leaders were killed along with 56 other militnts during the operations which were conducted with the help of coalition air support. The statement further added that the operations were conducted in Chinar Shakh, Ghoraha, Khwajah Ziaratgah, and Syedabad Turkmenha areas of Qaisar district. The senior Taliban leaders killed during the operations have been identified as Mawlavi Khan Agha the shadow deputy district chief of Taliban for Qaisar, Mawlavi Gandom Ali the shadow finance chief of the group for 5 provinces in the North, Mawlavi Hafizullah the shadow judge ofthe group for Qaisar, and Mawlavi Nasir alias Faryabi the local leader of the Taliban in Faryab, the 209th Shaheen Corps said. The statement by 209th Shaheen Corps also added that Mawlavi Khan Agha, Gandom Ali, Hafizullah, and Nasir alias Faryabi were among the key leaders of the Taliban group who were involved in major attacks in Qaisar, Almar and Pashtun Kot districts.